Blog | Page 2 of 26 | Morai Logistics Inc. 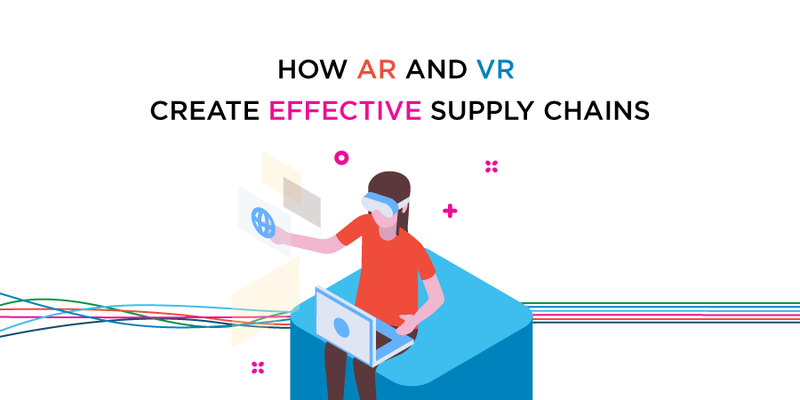 Experts say demand-chain models are an effective solution for supply chains to meet the increased need for immediacy and improve the customer experience. Today, consumers crave instant gratification when searching for products and services online. They want access to information and results in an immediate time frame, and this transcends throughout the buying funnel. It especially includes delivery. To meet consumer demands, there are high expectations on companies to offer same-day shipping options to their customers. …there comes a point where supply chain simply can’t get a package to you any faster. This puts pressure on supply chains to evolve their strategies and execute efficient and effective solutions to meet these expectations. Distribution centers (DC) have been an integral component to a supply chain, and provide many benefits with respect to meeting these expectations. In 2017, the United States warehousing market, accounted for $148.7 billion. The total number of warehouses accounted reported in the same year was 17,353. There is a growing need for companies to expand their distribution capacity to meet the output requirements for consumers. However, while expanding DC’s provides improved delivery solutions, experts believe a shift toward a holistic demand-chain would take it one step further. 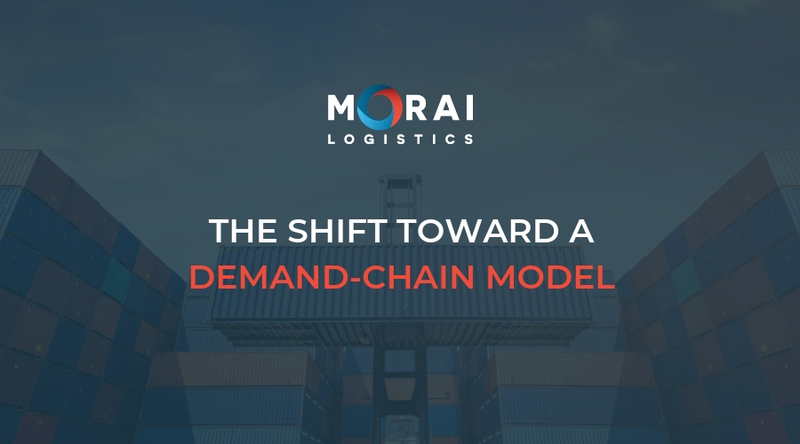 This article by Morai Logistics discusses the fundamentals of the demand-chain and the beneficial outcomes it could have as a supply chain model. According to Forbes, a demand-chain is ‘a state where production is localized and immediate’. It represents a shift from relying on centralized manufacturers, to autonomous machines. Supply Chain Market describes this migration as ‘the next generation in fulfillment’. It further responds to the extensive growth of ‘net economy’ or e-commerce, which has been fueling a high level of demand for immediacy. The overall added benefit of focusing on demand and pull, is that customers will get their products on demand. Simply put by Forbes, ‘there is a fast, on-demand creation of goods in the exact amount necessary’. Demand-Chain models are a step toward meeting customer needs through the application of technology and demand-focused strategy. 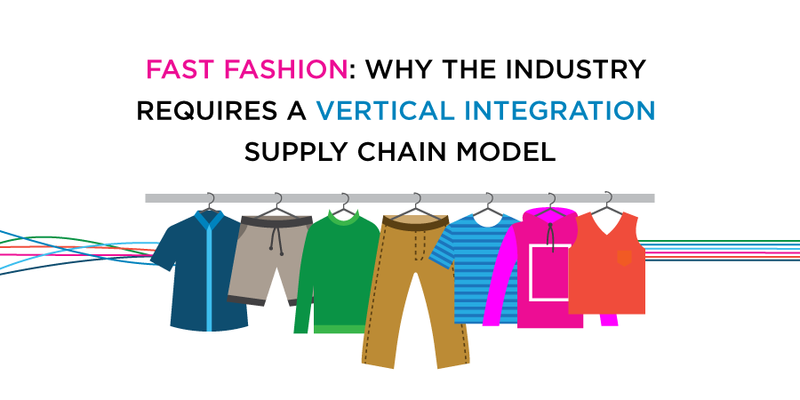 There are many reasons why this model is favourable for high-performance industries, such as supply chain and logistics. Developing optimized solutions to improve on-time delivery and immediacy, has been primarily motivated by the objective of carrying out a positive customer experience. Thus, by improving visibility and leveraging technology to create more efficient modes of production and delivery, immediacy can be met. Businesses may run into various challenges when trying to produce and deliver large outputs, which can ultimately waste inventory. Possible reasons could be overproduction, delays or order defects. As a result, unnecessary inventory leads to a waste in product and money for the business. A demand-chain enables businesses to follow a just-in-time model where products are produced and delivered when needed. Furthermore, a reduction in wasted inventory, a demand-chain model also aligns order fulfillment with delivery performance. 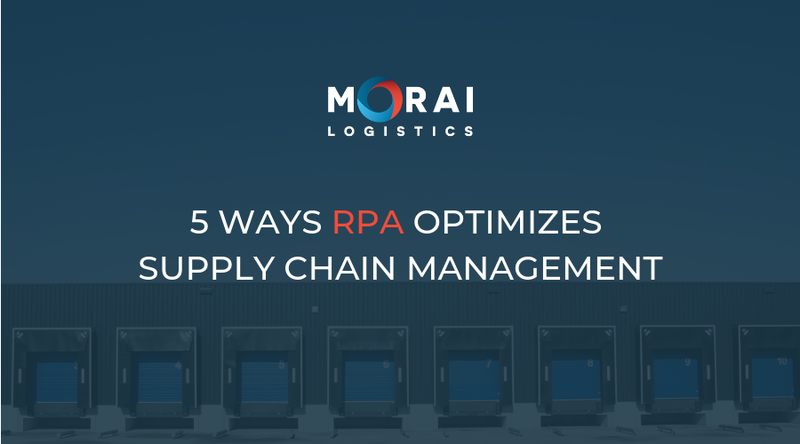 When an organization can effectively understand the level of production required, they can better predict how to allocate resources to carry out the shipment life-cycle. As the nationwide capacity crunch drives into the New Year, third party logistics (3PL) providers offer shippers reliable and cost-effective solutions. Last year the ‘nationwide truck shortage’, also referred to as the capacity crunch, was a significant challenge for the transportation industry. Carrying over into the New Year, the increase in freight rates and subsequent decrease in drivers continues to impact shippers tremendously. In December it was reported that the ELD mandate was effecting not only trucking, but other modes of transportation. This movement also impacted ‘ocean shipping, intermodal and air freight’. With consumer demands at an all-time high, the outcome of implementing this type of directive has caused a variety of issues. Experts identify increased rates, shipment delays and bottlenecks amongst the most common setbacks shippers face. 3PLs can step in and usually save money for the shipper while helping the shipper get a faster route. 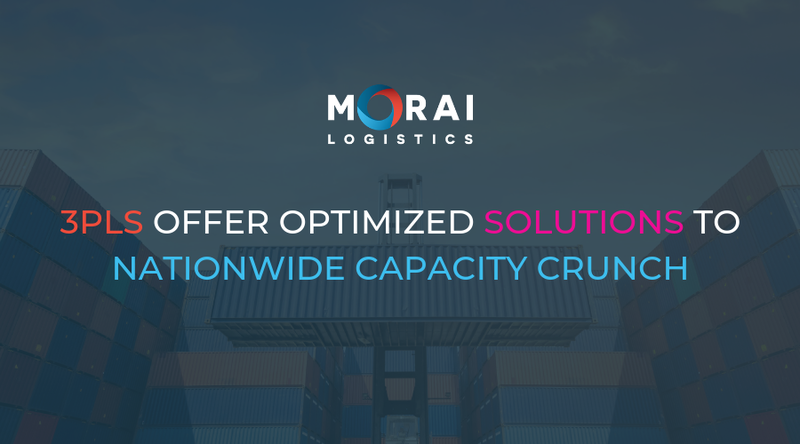 While the capacity crunch isn’t expected to go away anytime soon, 3PLs continue to develop optimized solutions to help shippers become proactive to industry demands. This includes a combination of technology integration, networking and Omni-channel opportunities. This article outlines the various obstacles the transportation industry faces caused by the capacity crunch. Furthermore, it defines why 3PLs remain the prime method to ensure an efficient and cost-effective shipment life cycle. The capacity crunch has placed a heavy burden on the transportation supply chain and logistics industry. The Electronic Logging Devices (ELD) mandate that was strongly enforced last year has deterred many drivers from the industry. This creates additional setback for shippers, as a decrease in drivers means an increase in freight rates and inefficient delivery. While strategies to improve driver retention and job satisfaction should be a high priority, the obstacles shippers face is also important. The capacity crunch forces shippers to seek reliable, alternative transportation methods at cheaper rates. This can be very challenging as competition and a lack of drivers continue to increase costs. However, third party logistics (3PL) provider’s offer optimized solutions to both carriers and shippers that can help alleviate some of this burden. 3PLs must develop solutions that enable shippers to execute orders efficiently and cost-effectively to meet the increase in consumer demands. The widespread integration of advanced technology has made considerable contributions to the way 3PLs service shippers and carriers. However, below are the most relevant ways these transportation partners can help shippers impact by a capacity crunch. Cost-Effective Rates Due to their large-scale industry presence, 3PLs are able to offer better rates. They can also negotiate better than small companies or independent drivers, which help offer shippers affordable options. Network of Carriers Shippers benefit from the substantial relationships that 3PLs have built. This provides access to Omni-channel and intermodal modes of transportation that offer multiple avenues to transport products efficiently. Digital Maturity The integration of technology will continue to shape the way warehouses operate and communicate. It will also provide companies with the ability to extract data to create insight on forecasts and patterns. 3PLs continue to integrate digital processes to improve the visibility of shipments. In addition, emerging platforms such as predictive analytics also enable shippers to take a proactive, rather than reactive approach, to operations and delivery. There is no denying that the impact of the ELD mandate and driver shortage has created obstacles for both shippers and carriers. While the capacity crunch remains a top concern to the transportation industry in 2019, 3PLs continue to provide effective solutions. 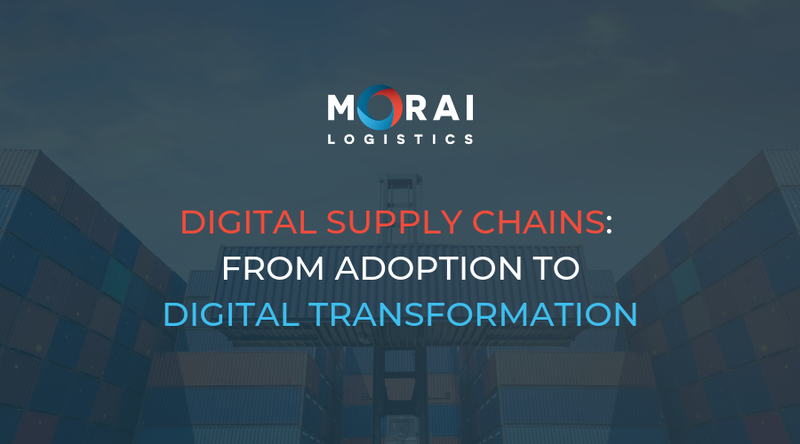 The integration of technologies and the digitization of supply chain and logistics will continue to transform the industry in 2019. Last year, changes in global markets and the boom in e-commerce increased consumer spending and expectations significantly. 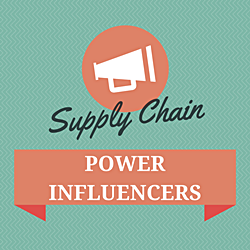 According to Statista, 21.1 % of supply chain executives found visibility to be the top challenge facing supply chains in 2018. In second place, 19.7% of respondents believe fluctuations in consumer demand was the most significant obstacle. The industry responded with the integration of innovative emerging platforms such as artificial intelligence (AI), predictive analytics, cloud technology and machine learning. This also led to the development of data-driven and predictive solutions that enabled companies to focus on providing personalized, customer-centric experiences. Indeed the last year has seen incredible resilience from transportation supply chains against the disruption caused by digitization. However, what trends will be at the top of the list this year? 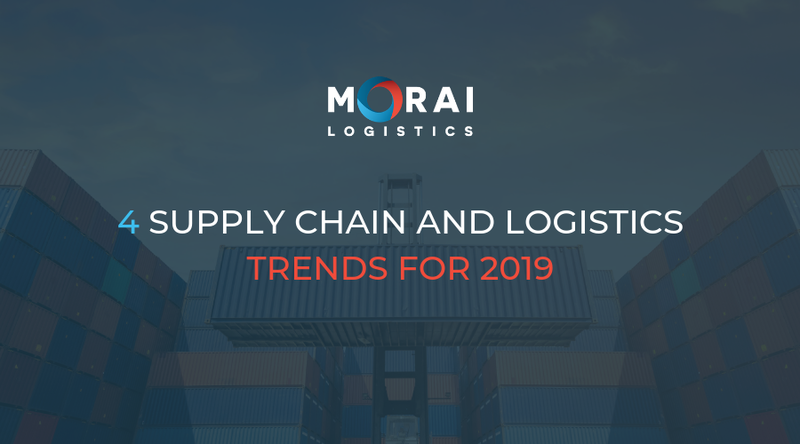 This article reviews 4 supply chain and logistics trends of 2019. 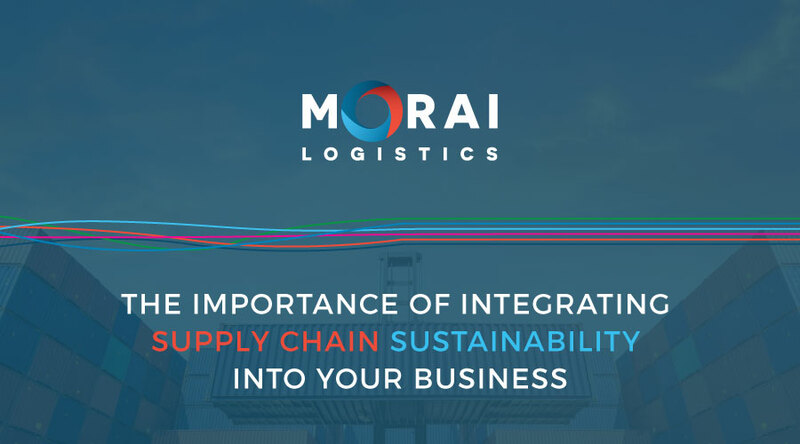 In March of 2018, Morai Logistics discussed the nationwide truck shortage and its effects on deliveries and rates. This year, the diver shortage will continue to require third party logistics (3PL) providers to improve their services. They provide shippers with solutions through ‘network connections, competitive volume rates and ongoing integration of information technology’. Another industry trend hat will carry over from 2018 and cause turbulence, is electronic logging devices (ELDs). Despite being introduced into the industry back in 2012, ELDs were officially mandated in 2017. Although this is a positive move to monitor the health of drivers, it has remained a top stressor for the industry. As mentioned above, digitization will continue to impact the transportation supply chain industry this year. The adoption of technologies, apps and emerging platforms in response to consumer demand will become necessary to compete with changing markets. Data analytics will be a major player this year as companies will have to assess ‘supplier risk, tariff risk, logistics costs or manufacturing costs’. In addition, AI and machine learning will be two significant technologies of 2019. According to Deloitte, by the end of 2018, ‘online sales of consumer products were project to increase 350%’. The dollar value of would equate to ‘USD$36 billion’. With over 2.14 billion people expected to shop online by 2021, the ecommerce market is significantly impacting consumer demand. This increase in expectations on service and delivery will require warehouses to focus on direct-to-consumer fulfillment. What does this look like? Experts see a widespread adoption of automation and adaptable and scalable solutions such as robotics and drones. This will be highly important for the retail industry. Furthermore, improved strategies on ‘design and location’ of warehousing will ensure products are within range of consumers to guarantee fast delivery. The added pressure to expand, innovate and adopt new technologies will also have a significant impact on the labour force. Wages are expected to increase across supply chains, which should motivate companies to create ‘employee engagement programs’. 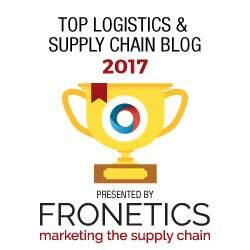 The above supply chain and logistics trends are four of many that will shape the industry this year. In order to develop solutions geared toward improving the customer experience and combating consumer demand, technology will continue to play a significant role in 2019. 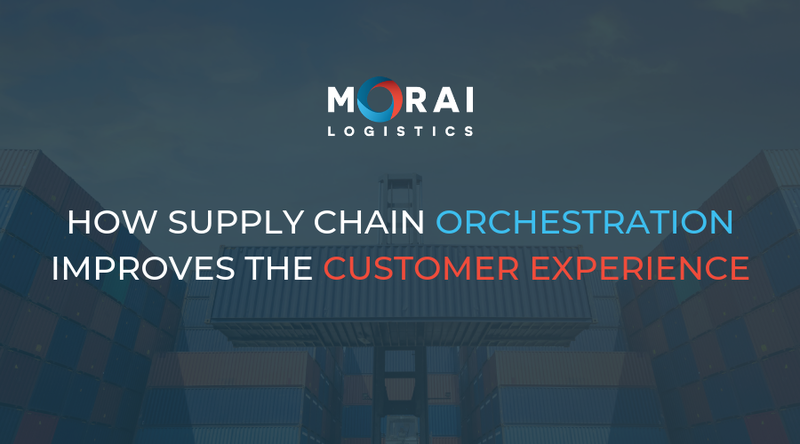 Experts recommend supply chain orchestration as an effective solution to help organizations deliver positive customer experiences. When it relates to personalization, 76% of customers expect companies to understand their needs and expectations. Findings also indicate that 67% of customers have switched vendors to seek ‘a more customer-like experience’. Customer expectation is a significant driver to the way organizations operate. Providing both convenience and speed is crucial to building a customer-centric business and building long term relationships with those customers. SCO enables you to make informed, conscious choices about how to serve your customers better. Orchestration benefits ecommerce markets in particular because it increases a customer’s accessibility to a larger variety of products and services. Therefore, customers are provided with a wider variety of delivery options due to an expansive ‘network of operators and carriers’. In addition, SCO also provides a variety of benefits that help close the gaps when it comes to visibility and efficiency. This article uncovers the foundation of supply chain orchestration and how supply chains can leverage it to better the customer experience. To understand how supply chain orchestration improves the customer experience, it’s important to first understand the need for SCO. As mentioned above, consumer demand is changing dramatically in response to a variety of factors including a significant increase in accessibility. For instance, customers who shop online are becoming increasingly expectant of fast delivery, personalized customer experience and order fulfillment. A poor experience can influence a customer’s intent to re-purchase. Research found that 67% of customers would stop buying from a company if a competitor offered a better experience. Omni-channel touch points and visibility must be a core focus to organizations who cater to different generations and demographics. To ensure all consumer demands are being met, a seamless supply chain operation must be implemented. Successful SCO is based on the right blend of elements for end-to-end oversight and control, but at the root, it is driven by a desire to put the customer first. 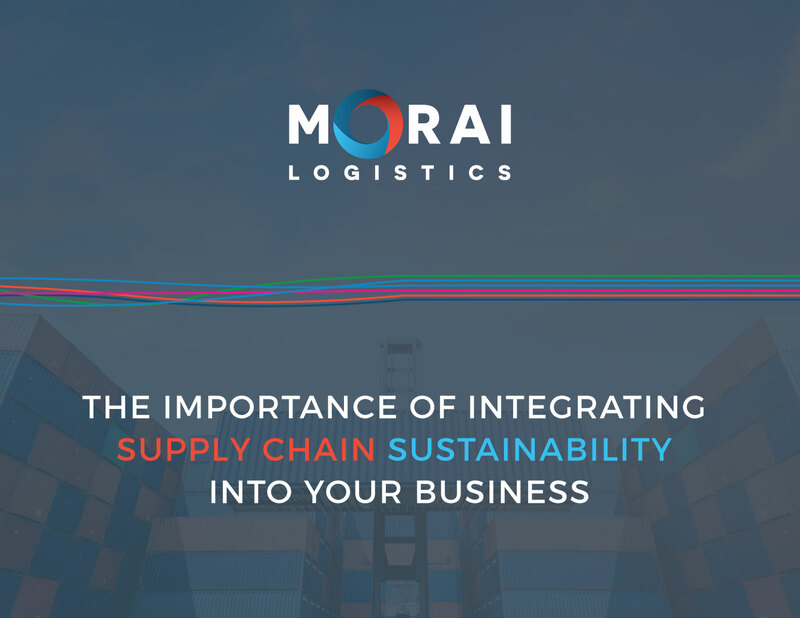 The goal is to create a supply chain network that takes into consideration both the bottom line and customer experience. By implementing SCO, you will provide a variety of benefits to improving customer satisfaction in a cost-effective way. Inbound Logistics identifies a number of trends supply chain orchestration can provide. Personalization is only successful when an organization can understand the needs of their customers and deliver. 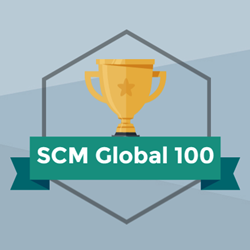 SCO enables organizations to take a holistic look at their entire supply chain. Thus, they’re able to optimize their processes to delivers ‘the maximum volume of on-time, in-full orders’. An increase in orders requires organizations to ensure warehouses and inventories are abundantly stocked and ready for delivery. Therefore, experts suggest streamlining their networks which includes ‘warehouses, 3PLs, suppliers, and in-transit stock’. Organizations should continue to focus on creating innovative and creative ways to improve the customer experience. This is primarily important today because of the incredible level of accessibility online shoppers have. Based on the above information, supply chain orchestration proves to be an effective way to ensure a positive customer journey. Therefore, organizations should continue to look at ways such as SCO to optimize their supply chains. As the holiday season approaches and the expectations of efficiency and on-time delivery increases, 3PLs must optimize their solutions. The Christmas holiday season provides many industries with the opportunity to significantly increase their revenue. By the end of this year, retail sales between November and January 2019 are forecasted to ‘top $1.10 trillion’. The reason behind the industries success can partly be attributes to e-commerce sales, which are also projected to increase 22% throughout this holiday season. In comparison to $110 billion in 2017, e-commerce sales are expected to reach $134 billion this year. We’ve seen retailers continue to advance their approaches to shipping, delivery, in-store experiences and tech-enabled commerce. 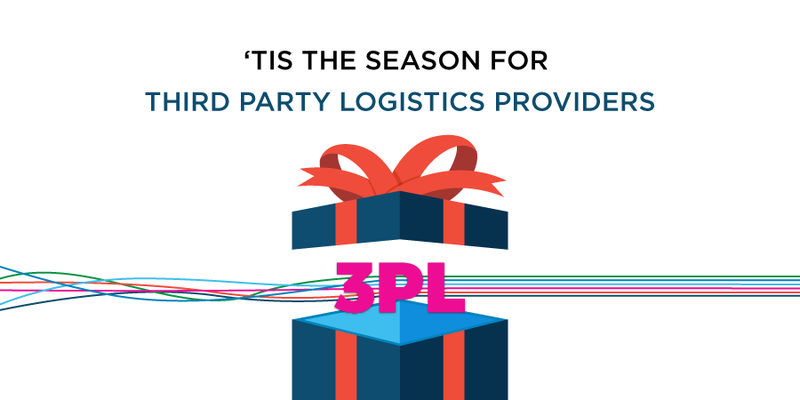 The holiday season for instance, is a prime time to shine for third party logistics providers (3PLs). By providing optimized solutions to help their clients optimize their customer journeys, 3PLs can leverage holidays to build relationships with customers. This article by Morai Logistics discuss how 3PLs are an important service partner this holiday seasons. However, despite the holiday season, the rise in consumer demand has been nothing short of new for 3PLs. Advancements in technology has forced organizations to compete within a saturated market of providers who offer similar services. This heightens even more during the holiday seasons as organizations must choose the best service providers for their customers. In addition to a peak in orders and next-day delivery, setbacks caused by weather can significantly impact the shipment lifecycle. Let’s take a look at the top reasons 3PLs are an important partner for organizations looking to prosper this holiday season. Speed is becoming a primary determinant of consumer preference. By 2019, statistics show that 65% of retailers will offer same-day delivery. This transition from concept to standard practice requires companies to seek solutions that will ensure real-time operations. During the holiday season, setbacks in deliveries can disrupt the customer experience, especially when there is a lack of visibility. Once a consumer selects a product, they pay close attention to the shipment life cycle via tracking codes or order updates. It’s important for companies to choose organizations such as 3PLs who can offer a level of transparency that will keep their customers happy. In addition to speed, another important factor that supply chains should focus on is efficiency. On-time deliveries are essential for companies competing in saturated markets. Aside from transparency, 3PLs also prioritize orders arrive as scheduled. Therefore, hiring service partners such as 3PLs is important to ensure consumers receive their product in a timely and efficient manner. For the retail industry in particular a large influx of in-store inventory is not ideal. 3PLs offer optimized warehouse management solutions and technologies that can effectively manage, track and store your stock. E-commerce has made shopping accessible from anywhere across the globe, which increases the need to ensure consistency in order fulfillment. 3PLs often have many distribution centers spread across the country, which helps organizations house product closer to customers. There is no denying that the holiday season is a busy time of year. Partnering with the right third party logistics provider is important for organizations looking to increase revenue and create a positive consumer experience.